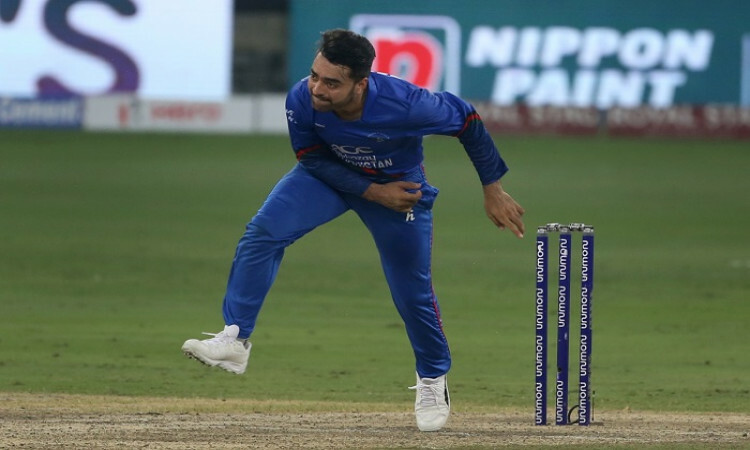 New Delhi, April 5 (CRICKETNMORE): Rashid Khan and Mohammad Nabi - the two vital cogs in Afghanistan's cricket team - on Friday slammed their cricket board's decision to replace Asghar Afghan with Gulabdin Naib as Afghanistan captain for the World Cup. Ahead of the showpiece event, slated to be held in England and Wales from May 30, the Afghanistan Cricket Board (ACB) had handed leadership roles to Rahmat Shah, Gulbadin Naib and Rashid Khan for the Test, ODI and T20I teams respectively earlier on Friday. Taking to Twitter, Afghanistan sensational spinner Rashid said: "With all the respect to the Selection Committee, I strongly disagree with the decision as it is irresponsible & biased. As we have World Cup in front of us, Captain #MAsgharAfghan should remain as our team Captain." "His captaincy is highly instrumental for team success...With just months to go for such a mega event like World Cup, changing the captain will cause uncertainty and also team morale will be affected," he added. Naib, Rashid's teammate for Afghanistan, also seemed upset and questioned the timing of the decision saying: "Being a senior member of the side & having seen the rise of Afghanistan cricket, I don't think it's the right time to change the captain before the WC. The team has gelled really well under #Asghar & personally feel he is the right man to lead us." In the last four years, Asghar Afghan has had a successful tenure as Afghanistan skipper, leading his team to victory in 33 ODIs and 37 T20Is.